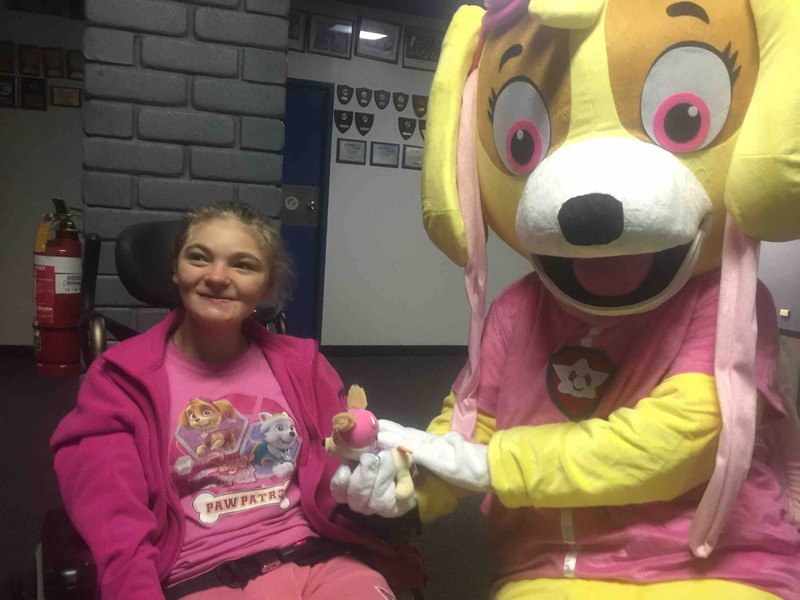 My name is Madisyne and I have Holoprosencephaly which is a mild brain disorder which affects my learning and my ability to walk and I will always be in a wheelchair for the rest of life. My mother left me when I was 15 months old I am now 13 years old. My father is my sole carer and has to pick me up out of my wheelchair and put me into the car and fold the wheelchair down and put it in the car. I have also 2 brothers that my father looks after as well. He has to drive them to sport all over brisbane. The car is now 12 years old and needs repairs done to it. 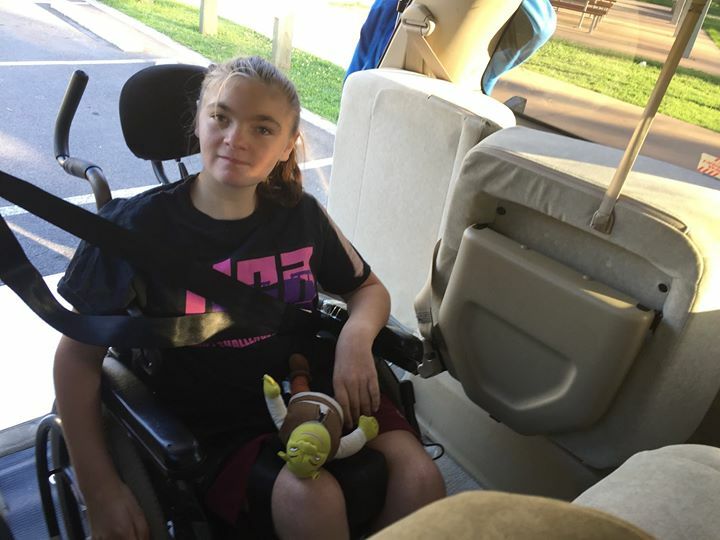 We need a wheelchair accessible van with ramp so dad can push the whole wheelchair into the van and doesnt have to lift me at all. I would much appreciate a donation large or small to help us with our goal for a van. 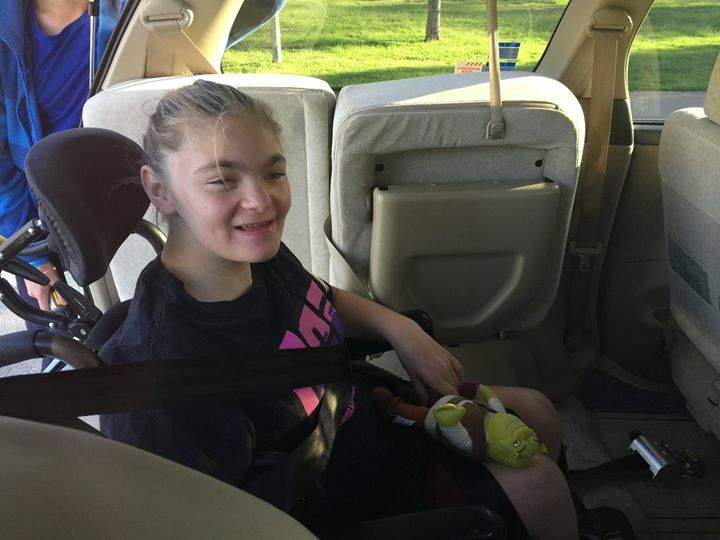 Thank you everyone we reach our goal for Madisyne's wheelchair accessible van its a Toyota Estima 2003. I world like to thank family and friend, GoFundMe and all the people who donated on their, everyone who helped out and came to the fundraisers at Souths Sports Club and Acacia Ridge Soccer Club, CPL, Import Auto Centre Qld, Rotary Club of Archerfield Inc, Star liquor Algester, gripshiftslide.com, TUS Chunky, Reuben Pelerman Benevolent Foundation, (VOSS) Vehicle Options Subsidy Scheme, Storage King and if I have forgotten some I'll sorry thankyou everyone. Madisyne's Meeting Skye and Spider-Man from Brisbane Character Hire at her fundraiser night at Acacia Ridge Soccer Club. Thanks to family, friends and everyone for coming on the night and for supporting Madisyne to help her get a wheelchair accessible van. 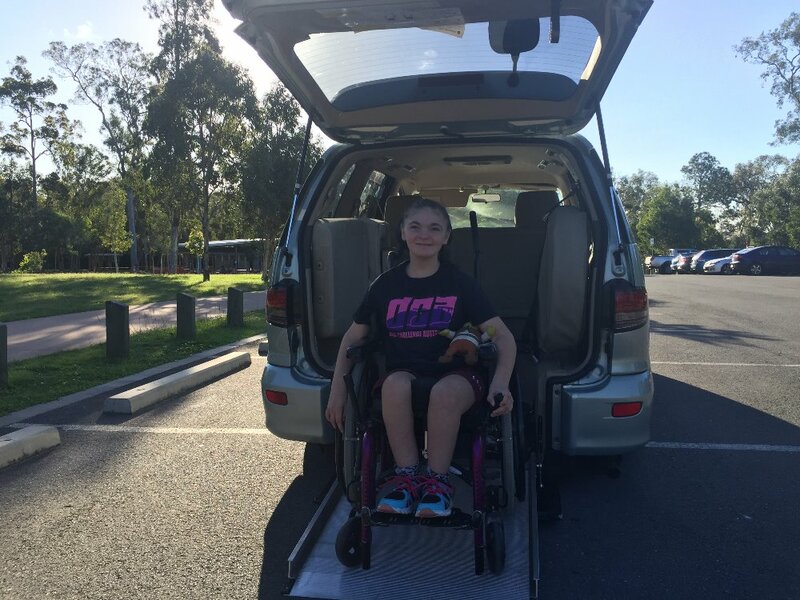 A big thank you to everyone who has donated for Maddie's Wheelchair Accessible Van Campaign. Acacia Ridge F.C. 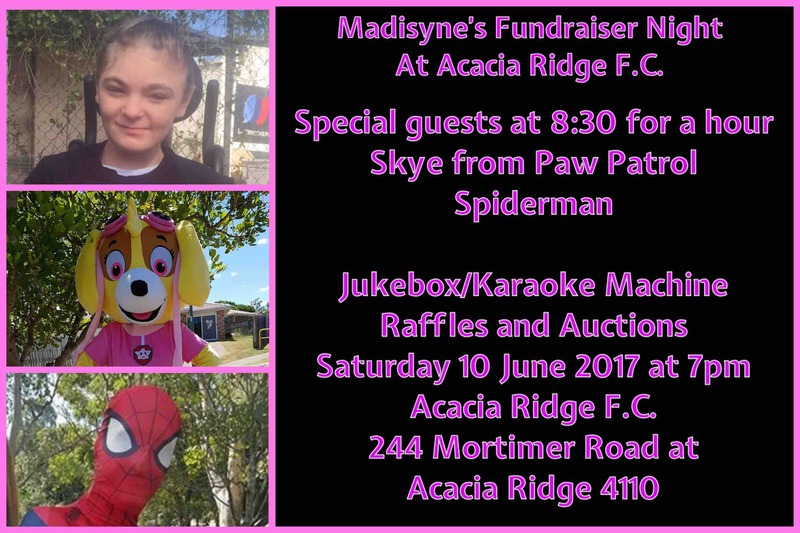 is having a fundraiser event for Madisyne on the 10 June 2017 with special guests Skye from Paw Patrol and Spider-Man. 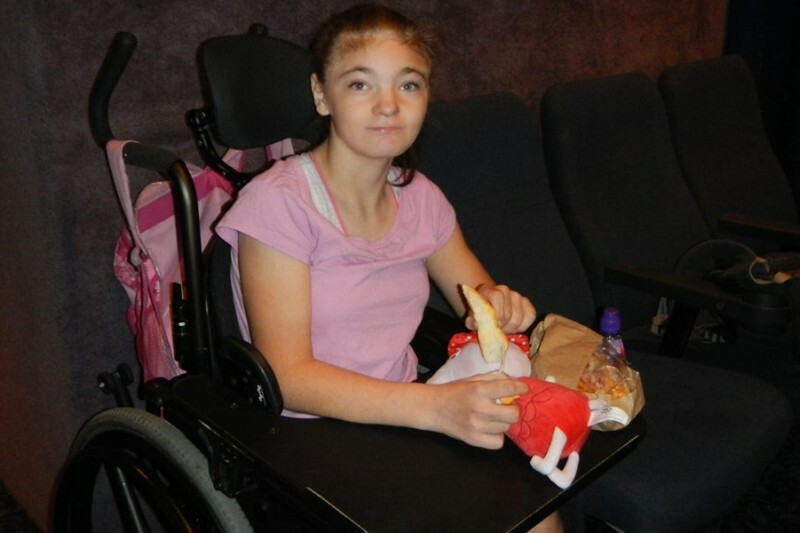 We are so close now there has been a donation from Reuben Pelerman Benevolent Foundation of $8000 and Madisyne is entitled to Vehicle Options Subsidy Scheme (VOSS) for $8800 but it ends when National Disability Insurance Scheme (NDIS) come in.